Under no circumstances (including but not limited to any act or omission on the part of Mazenod Old Collegians Football Club) will Mazenod Old Collegians Football Club be liable for any indirect, incidental, special and/or consequential damages or loss of profits whatsoever which result from any use or access of, or any inability to use or access, the website. All content and materials on this website, including without limitation this site’s layout, organisation and design, are protected by copyrights, trademarks, service marks, patents, trade secrets, and other proprietary rights and laws. You agree to comply with all such protections provided by applicable law. This website may provide, or third parties may provide, links to other Internet sites or resources. Those links are provided for convenience only, and may not remain current or be maintained. Links to those websites should not be construed as any endorsement, approval, recommendation or preferences by us of the owners or operators of the sites, or any of the information, products or services referred to on those other sites, unless specifically stated.  Unless otherwise stated, the Linked websites are not under the control of Mazenod Old Collegians Football Club and Mazenod Old Collegians Football Club is not responsible for the contents of any linked website. You link to any such website at your own risk. THIS SITE IS PROVIDED BY US ON AN ‘AS IS’ AND ‘AS AVAILABLE’ BASIS. TO THE FULLEST EXTENT PERMITTED BY LAW, ALL MERCHANDISE IS PROVIDED ON AN ‘AS IS’ BASIS WITHOUT WARRANTIES OF ANY KIND, EITHER EXPRESSED OR IMPLIED, INCLUDING WITHOUT LIMITATION WARRANTIES OF MERCHANTABILITY OF FITNESS FOR A PARTICULAR PURPOSE. TO THE FULLEST EXTENT PERMITTED BY LAW, IN NO EVENT SHALL WE BE LIABLE FOR LOST PROFITS OR ANY SPECIAL, COINCIDENTAL OR CONSEQUENTIAL DAMAGES. YOU ASSUME ALL RISKS ASSOCIATED WITH YOUR USE OF THIS WEBSITE, INCLUDING DAMAGE TO YOUR COMPUTER OR OTHER EQUIPMENT. AZENOD OLD COLLEGIANS FOOTBALL CLUB DOES NOT WARRANT THAT THIS SITE, ITS SERVERS, OR EMAIL SENT FROM THIS SITE ARE FREE FROM VIRUSES OR OTHER HARMFUL EFFECTS. All items listed for sale in the Mazenod Old Collegians Football Club online shop are listed in Australian Dollars (AUD) and payments are processed in Australian Dollars.